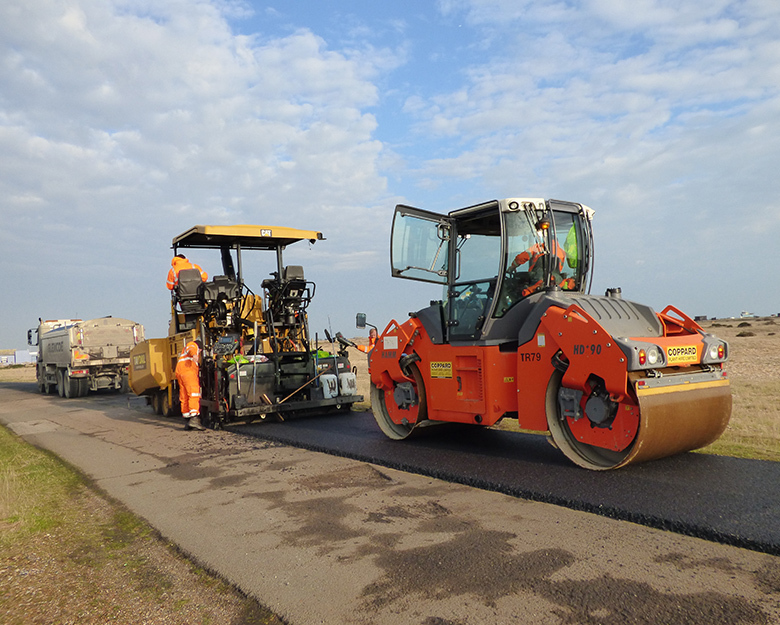 Taydal were approached by contractors EDF Energy to resurface the 11,256m2 road at Dungeness B Power Station in Romney Marsh, Kent. The site required us at Taydal to resurface a long stretch of road leading up to the Power Station which was the only source of access to a residency of homes. It was vital for us to maintain access to the homes and shops alongside the site. We provided a service of efficient works with minimum disturbance to the residency. Workplace Solutions would like to thank you again for the hard work your Company have put into the successful completion of our Estate Project at Dungeness. You have brought a great deal of experience that has been invaluable in a project of this size and is a key reason for its success. We provided a service of 20mm Base Course and 10mm SMA Surface Course over 11,257m2. We maintained access to the homes and shops alongside the site by providing a traffic management system to sustain access to shops and homes.